If you get a violation from the DEP requiring you to install an RPZ device, your plumber will tell you to call an architect or engineer to design your installation. As per NYC law, “you must retain the services of a Licensed Professional Engineer (PE), Licensed Registered Architect (RA), Licensed Master Plumber (LMP) or request a property inspection from DEP.” Backflow Prevention of New York will take care of everything. We start by sending one of our staff engineers to your property to survey the situation and begin the design process immediately. We will submit the design to the DEP and get it approved for you. We will then install the unit, test it, and put it online. We’ll even put your unit into our custom designed software and remind you each year when it is time to test it. If it needs to be repaired, we’ll do that too. We also have Maintenance Agreements so you know your yearly costs in advance, and can effortlessly budget for it. 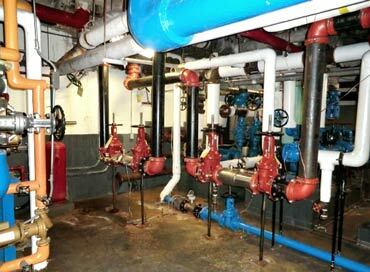 Backflow Prevention of New York takes the worry and the geusswork out of all your backflow prevention needs. See our service page or call us for an inspection of your property.